Learn the correct pronunciation of the stations located on the Paris subway line number eight: “Balard – Pointe du Lac” + tips to do the most of your Paris subway experience. 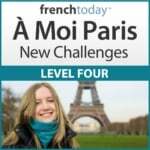 Recorded by a French Parisian native, free audio + maps and tips. Line 8 of the Paris metro departs from Balard, southwest of the city. The line, 38 stops long, crosses the capital to end in Créteil, Southeast of the Paris area. Starting from Balard, line 8 goes up along the Seine on the left bank and then continues along “les Grands boulevards” and finally east of Paris. 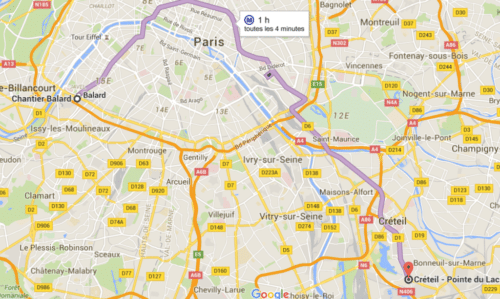 It is therefore the ideal line to get quickly in Paris without taking a suburb train. The Bastille and its adjacent modern opera house, the Opéra Bastille (Bastille station), which is very close to Le Marais and La Place des Vosges as well. If possible, avoid taking public transportation in Paris between 7:30 and 9:00 AM and 5:00 and 6:00 PM. It is rush hour, which is the time where there are the most people, no places to sit, and you are squeezed against other people. It is very warm and unpleasant.